Designed by practicing architect, Matt Gullsvig, offers four tools in one. 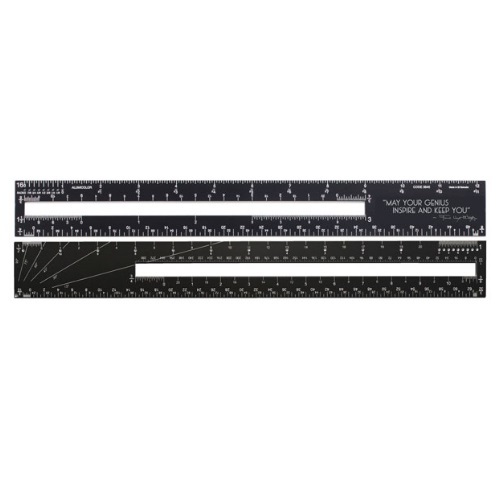 With this unique tool, drafting professionals can measure and scale plans; draw circles and arcs; draw angles and triangles; or use as a straight cutting edge. Conveniently, it fits easily in a folder or notebook, replacing the bulkier 3-sided scale. 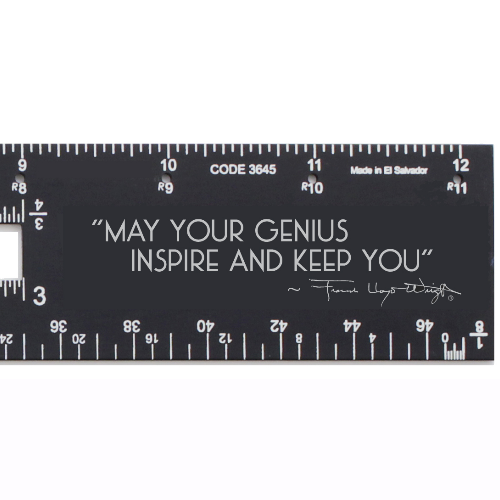 The architect AlumiDrafter™ is very versitile, imprinted with 12 sets of architect calibrations and an inspiring Frank Lloyd Wright quote.